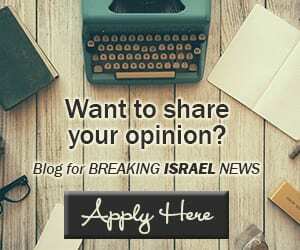 [BLOG] Grab a Bite of Each Period of Israel’s Past - Breaking Israel News | Latest News. Biblical Perspective. Sitting with Amir Reiner for coffee in suburban Haifa to discuss his latest project, one can see the passion in his eyes and voice when he talks about Jewish history. He seems so frustrated when he recalls people not knowing key periods in Jewish history. Amir manages, programs and implements Priority ERP systems for various companies. He graduated from the Technion and holds an MBA from Haifa University. In his past he had provided tours of the Technion to various VIPs from all over the world. He is also very much involved with advancing pro-Israel narrative online, including being involved with the ‘Israel Online Ambassador’ program. In that program, he came across many people who are pro-Israel, but are somewhat vague about the history of the land. He then went on to do some research, trying to collect maps of Israel as it was at different periods in history. There are many historical and biblical atlases out there. Most of them are too comprehensive and heavy for the average reader. None of them had all maps in a similar scale so they can be compared with one another. Some even don’t show recognizable features, such as the Mediterranean Sea, which would allow one to compare between different maps. He points out two maps as an example. One is a map of Israel at the end of the Bar-Kochva revolt, and the other shows the province of Judah for about 3 centuries under the Persian Empire. These maps come from the same source. However, one map is significantly larger than the other and even though the area in control by the Jews was roughly the same, it doesn’t appear so when putting the two maps side by side. This is something Amir has set out to rectify. He contacted his brother, Ilan, who lives in Los Angeles and practices architecture. Ilan got hooked on the idea and together they began researching maps, history, archaeology, images and various other sources. After that, the brothers went on to set up a format for their new atlas, drew the maps, edited the images and wrote the narratives that would briefly describe each historical period. After many months of work, they proudly held in their hand a book with over 50 maps, which they titled Israel History Maps Atlas: 3000 Years of Geographic Chronology of Jewish Sovereignty in Israel. “Did you know,” Amir asks me as I flip through the pages, “that there is not one area in Israel that was under Israeli or Jewish rule at all times?” Jerusalem, for instance, is a city that we always think of as our Holy City, but it came under Jewish/Israeli rule only during the time of King David. I was also somewhat surprised to learn that the area of Tel Aviv was very rarely in Jewish/Israeli hands until the 20th century. The history of the land of Israel is very dynamic. Going through the book, one can quickly compare various time periods and see the various geopolitical shifts of power and the forces at play on this small piece of real-estate. 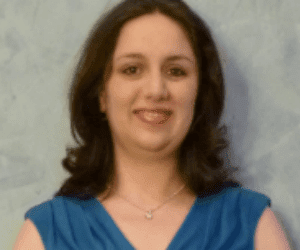 Neda Zarabi is an avid zionist who is active in various organizations supporting Israel. After graduating Poli-Sci from UCLA, she began working at a prestigious law firm. From time to time she interviews pro-Israel activists and publishes their inspiring stories in her blog and other media outlets. Neda lives in Los Angeles and travels to Israel as often as possible. Her interests range from politics and history to social media and investing.